It’s February – hot and dry here in Perth. Our Ecojobs team has been working hard through the summer season spreading mulch, hand weeding, herbicide spraying and maintaining reserves. Tree watering is vital in this period for newly planted trees and seedlings. 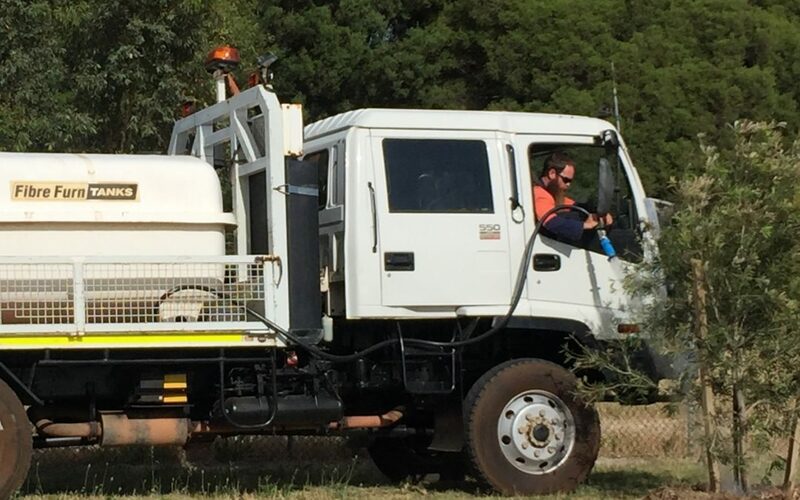 Ecojobs Supervisor Ben is pictured in our tree watering truck, giving a newly planted street tree a good soak. Do your seedlings need watering?